If You File For Bankruptcy Will You Lose Your 401(k)? HomeBlog BlogIf You File For Bankruptcy Will You Lose Your 401(k)? Bankruptcy can be a good option for people who are really seriously in debt. 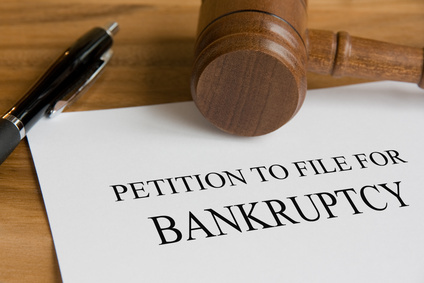 The most popular type of bankruptcy is a chapter 7. It is called a liquidation bankruptcy for two reasons. First, it’s meant to liquidate all of your assets so that your creditors can be paid off. And second it should liquidate all or most of your unsecured debts. Secured debts are those where you were required to provide something as collateral. This could be your house in the form of a mortgage or your vehicle as an auto loan. In comparison, unsecured loans are those where you were not required to provide any collateral. The most common forms of these loans are credit cards, personal lines of credit, medical bills and personal loans. A bankruptcy will dismiss these types of debts. However, it won’t discharge secured debts nor can it get rid of some other types of unsecured debts such as student loan debt, child support, alimony and past-due taxes. Your 401(k) is safe in a chapter 7 bankruptcy. Some people think that this is unfair as you would be allowed to get rid of all of the bad (your debts) but keep all of the good – your retirement savings. But a 401(k) is treated as a protected asset – whether that’s good or bad. However, you must keep the money in the 401(k). It’s protected only so long as it stays there. If you were to take the money out of your retirement account, it would become an unprotected asset and can be seized. It is possible that you could do the bankruptcy yourself – especially if you do not own a house. There are bankruptcy kits available online that were developed by companies such as Nolo.com that make it relatively easy to handle the procedure yourself. However, it will take you a lot of time to compile and submit the documents required. You’ll need to get forms notarized, contact your creditors and send all of your documentation to the bankruptcy court. You may also have to appear before the court to have your case heard. As you can see, filing for bankruptcy yourself can be a complicated and time-consuming task. This is why many people hire an attorney to handle their bankruptcies. Plus, it’s usually possible to hire a bankruptcy attorney for $500 or less. This could be a very good investment when you compare it with the thousands of dollars of debt that would be eliminated.